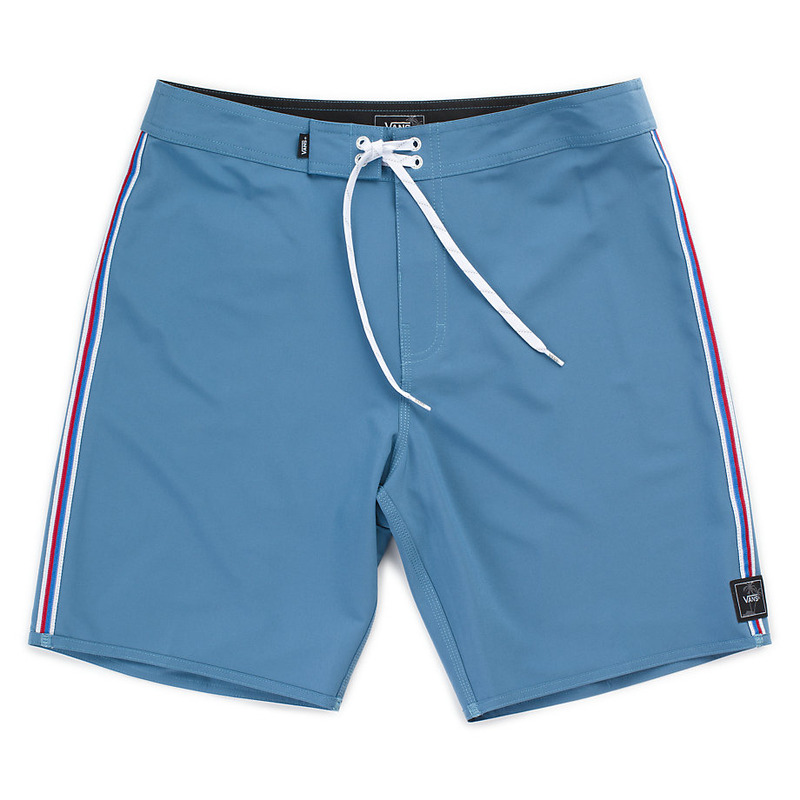 Vans The Sidestripe 19 Boardshort is a 90% polyester, 10% elastane water-resistant boardshort featuring the Vans premium 4-way Sturdy Stretch fabrication that strikes a balance between in the water performance and on the beach wearability. 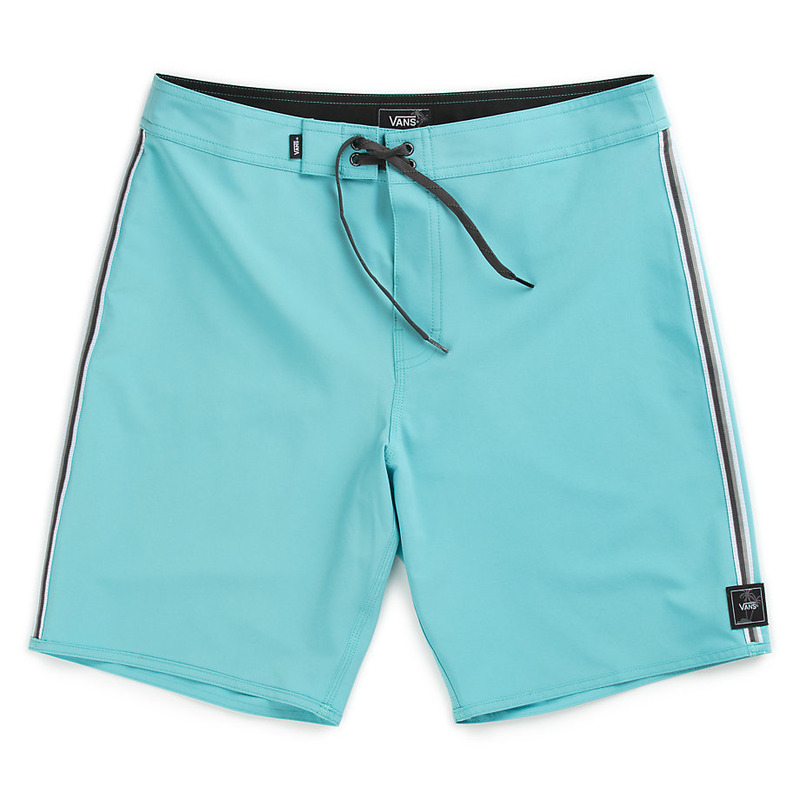 Made with the perfect blend and weight of stretch material for long-lasting comfort, the Sidestripe Boardshort also includes contrast yarn dye taping at the side seam, a back patch pocket, and a Vans dual palm woven label. Model is 6 feet tall and wearing a size 32.